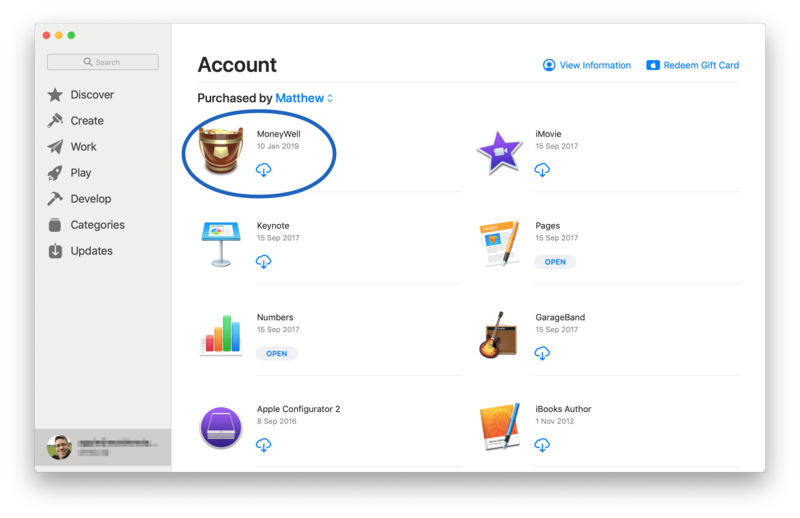 As MoneyWell 2 is no longer available to buy in the Mac App Store, the process to update the app is somewhat difficult. 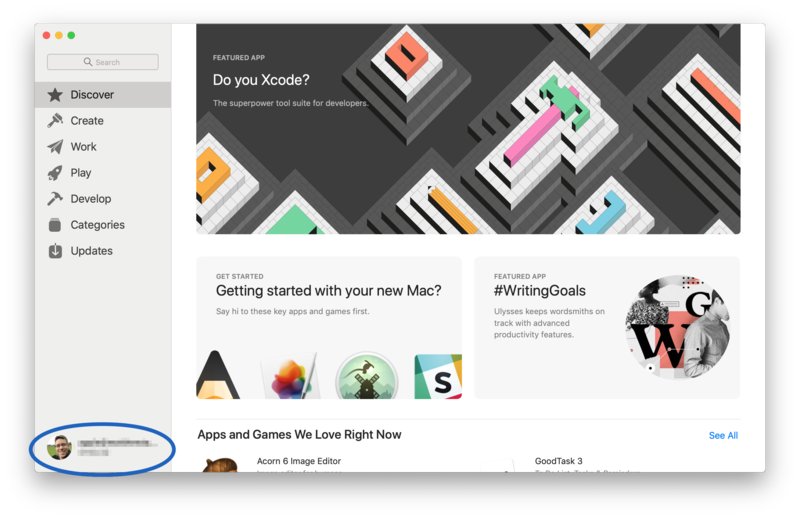 Unfortunately you won't be prompted with updates, and it requires deleting the app and re-downloading it to get the latest version. Make sure you have a backup of your MoneyWell documents. They shouldn't be affected by this process, but it's always best to have a backup. 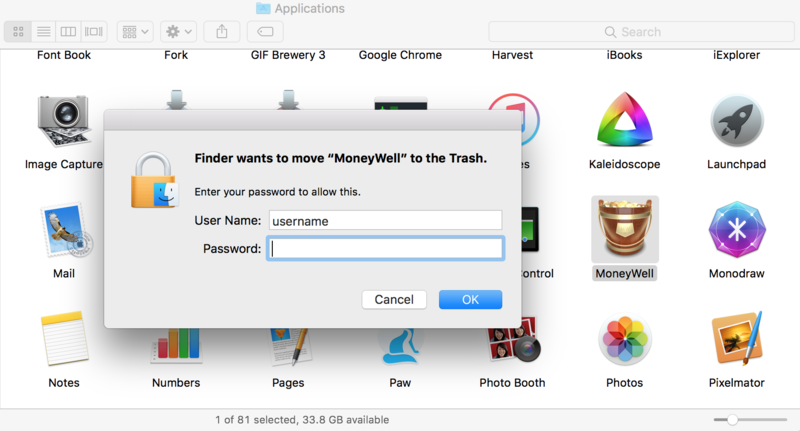 Go to your "Applications" folder and delete the MoneyWell application (it may ask you for your password) - this is just deleting the Application, not the data. 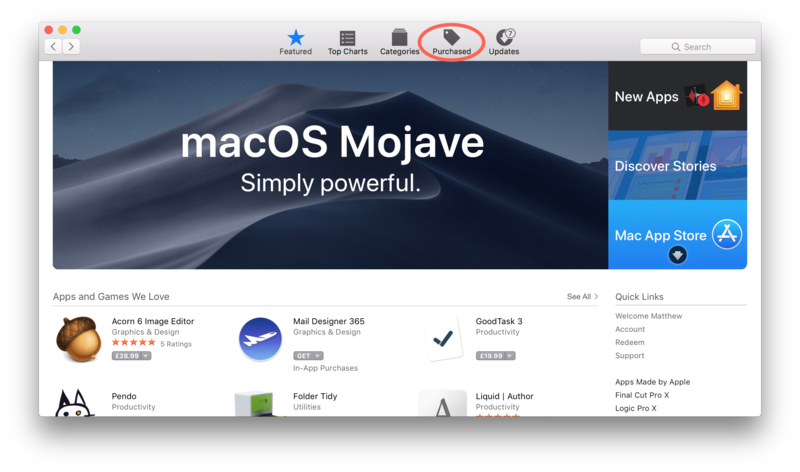 Once it's installed, open MoneyWell and go to MoneyWell -> About MoneyWell to check which version you have now. 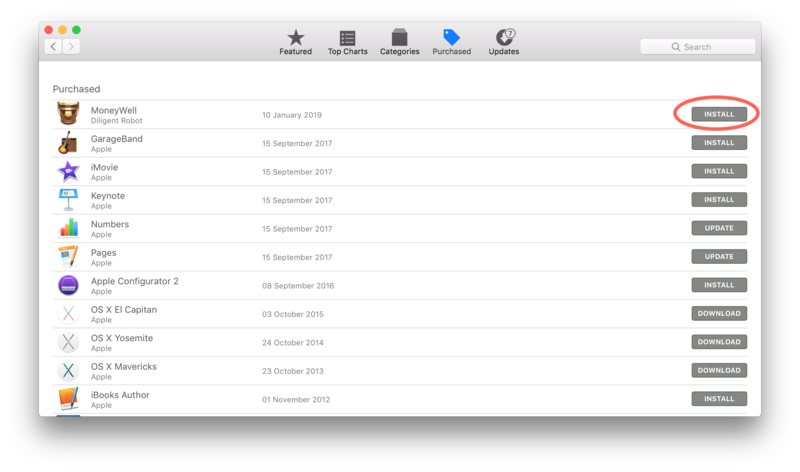 You can check the latest releases on the Release notes page here to make sure you now have the latest version.